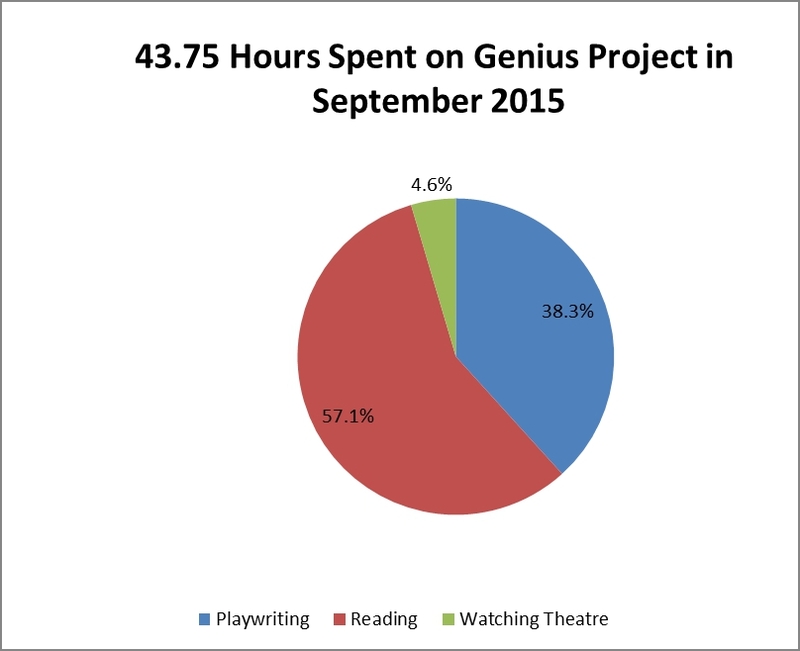 This was the first month that I was able to stay on track for the Genius Project in a long time. The key to doing it was taking baby steps and focusing on the process instead of the product. In terms of overall time, this was my best month so far with 43.75 hours on the project. The breakdown in terms of time was 16.75 hours on playwriting, 25 hours on reading and research, and 2 hours watching plays. Total hours spent on the Genius project so far is 838.5. Only 9,161.5 more hours to go! Although I was hoping to improve my ratio of writing to reading and play watching, I found it important to accept that the goals had to be modified. It was more important to keep moving forward. And by setting smaller goals, I actually got in more writing than the previous months any way. I came across Brené Brown’s TED talk about shame and ended up reading her book Daring Greatly. Okay, I listened to her book. I love listening to unabridged books because you get the goodness of reading a book but are able to do it at times or places where you can’t usually read. It’s a great way to legitimately multi-task. I love listening to books while driving or running. Daring greatly. It takes courage for any of us to pursue our goals. And any worthy cause will have setbacks and usually take much longer than we anticipated. We won’t always succeed, but from every setback there is the opportunity to learn and grow. It’s so easy to look at goals moment to moment and get discouraged. It’s a long game and you need to have a wide perspective. The concept that resonated with me the most in Daring Greatly is that “you are enough”. You, me, any of us is worthy enough, talented enough, and brave enough to reach for our goals. Striving for the goal is more important than attaining the goal. Sometimes our own inner critics defeat us before we get started. You are enough! You are enough to write that song. You are enough to speak in front of people. You are enough to ask that person out. You are enough to reach for your goals and learn from the setbacks that come along.